Dummar allegedly found a disheveled Hughes near a Nevada brothel and gave him a ride to The Sands hotel in 1967. 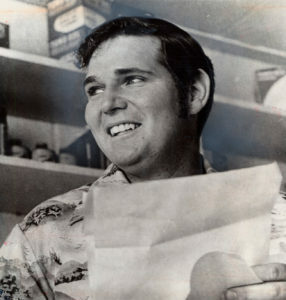 After Hughes’ death in 1976, an unknown man delivered a letter to Dummar, who was then living in Utah, for forwarding to the Church of Latter Day Saints. Before delivering it, Dummars steamed it open and saw that he and the Mormon Church were listed as beneficiaries of the will. Hughes was not a Mormon, but Dummars was. The will was one of 40 wills purportedly made by Hughes none of which were deemed to be valid. A valid will for Hughes was never found resulting in his fortune benefitting distant cousins and other relatives. Hughes reportedly did not want his relatives to benefit from his fortune. Dummar’s alleged encounter with Hughes was made into the award winning movie, “Melvin and Howard,” in 1980. 1. As a single man with no children and no siblings, Hughes definitely should have prepared an estate plan to distribute his billions. 2. As a man who dated Katherine Hepburn, Ava Gardner, and Gloria Vanderbilt among others, it is doubtful that Hughes frequented a brothel hours from Las Vegas although the uncut hair and fingernails might have been a turn off..
3. If this incredible story were not already made into a movie, it screams of material that needs to be made into a movie.